What did I expect? One of the greatest movies of all time. What did I get? Has The Godfather finally supplanted Citizen Kane as the movie that all the film buffs agree is the greatest of all time? Or is it still #2? Our age is less monolithic than the period that produced the consensus around Citizen Kane, which makes The Godfather’s preeminence all the more impressive. 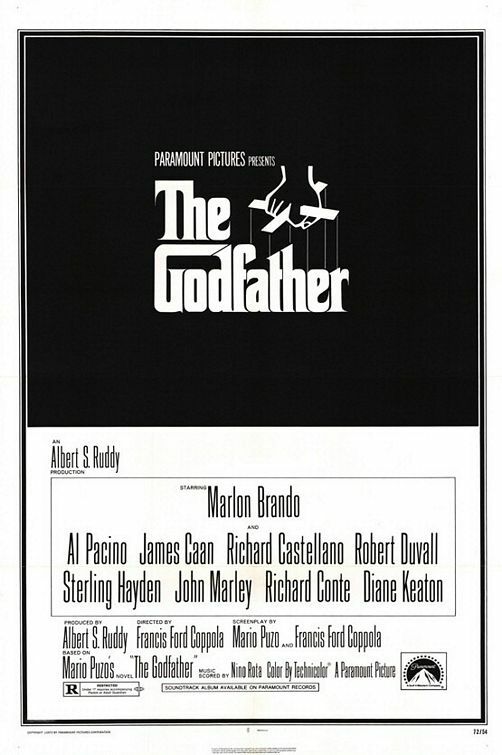 In this blog I’ve shown resistance towards popular favorites before, and it might reasonably be surmised that I’m not down with the Godfather hype. Quite the contrary: I think it’s just as great as everyone else does. If anything, it’s underrated. It’s just that good. What did I expect? Honestly, a misfire. Something like High Anxiety, maybe. What did I get? Wow. Just— wow. What’s Up, Doc? clocks in as the biggest surprise of the Boffo project thus far, by a wide margin. 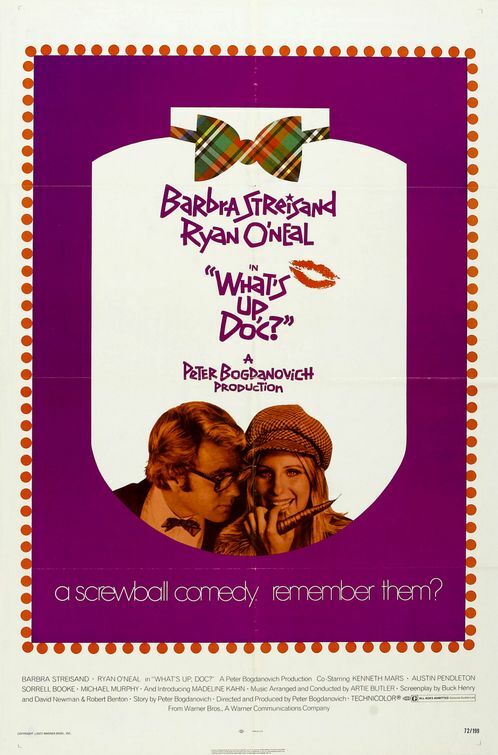 I’m not crazy about Barbra Streisand, I couldn’t work up any enthusiasm for Peter Bogdanovich’s previous movie, The Last Picture Show, and the whole idea of a screwball comedy set in the early ’70s…. well, I wasn’t optimistic. But I must give Bogdanovich and the cast and the screenwriters their due: This movie is a wonder to behold. What did I expect? A really good musical about the Nazis. What did I get? If anything, I underestimated it. 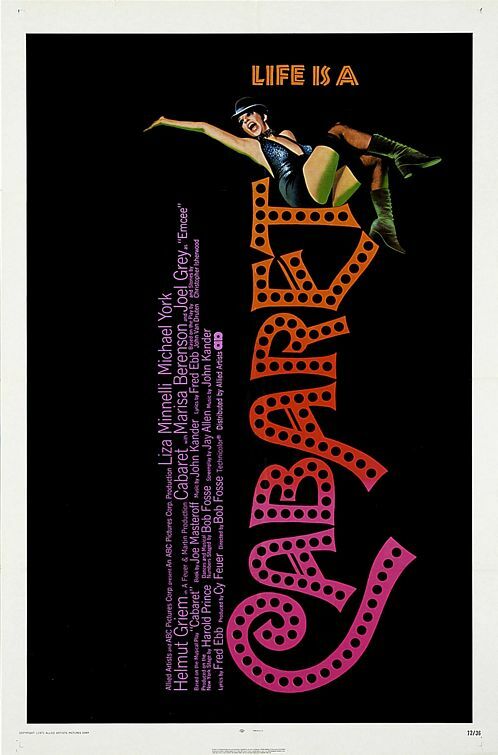 Cabaret is a fantastic movie, every bit as good as its reputation. I’ve always had an aversion to Cabaret, its pretensions to seriousness, its apparent reveling in kicky perversity… the whole thing never appealed to me at all. I knew it was about the rise of the Nazis, but it never occurred to me that it could have anything worthwhile to say about the subject. Boy, was I wrong about that. What did I expect? A comical heist movie. What did I get? The Hot Rock is sort of the Ocean’s 11 of 1972. 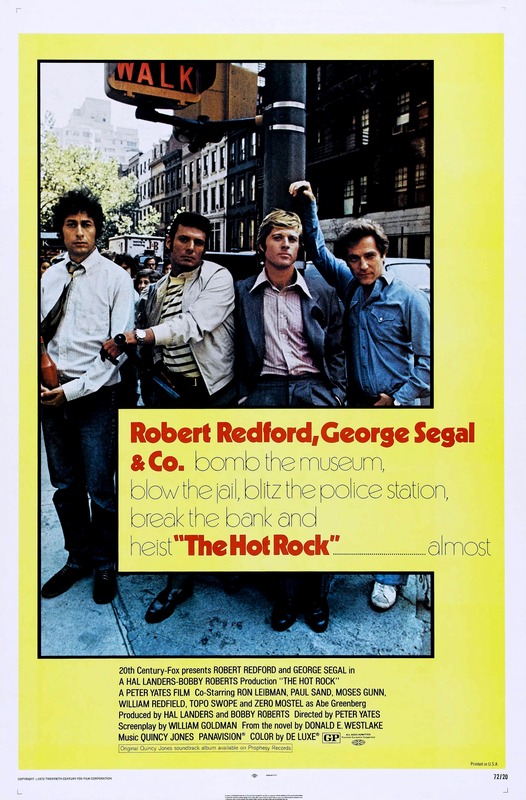 A heist movie whose comic elements tend to sap the movie of its tension, it has an uneasy relationship to the “gritty 1970s New York” school of movies of which it must be counted a part. It’s “gritty” only because New York is gritty; the movie could have been moved to Tampa or Denver intact. The Hot Rock traffics in most of the countercultural tropes of the time without seeming to understand any of them — or care, much. The four guys who perpetrate the crimes dress down, have shaggy hair, and never sweat the details of the jobs we see them undertake. They qualify as antiheroes only insofar as there’s nothing heroic about any of them. What did I expect? A western, about cowboys. In other words, not much to go on here. What did I get? Ah, now I see! The title, “The Cowboys,” in a bit of wordplay that doesn’t quite work, is meant to throw the emphasis on “boys.” Because it’s all about preadolescent ranchers, you see. But “cowboys” doesn’t mean “ranchers who are children,” does it? Nobody ever intends it to denote fresh-faced fourteen-year-olds, I don’t think. Anyway, that’s a quibble. 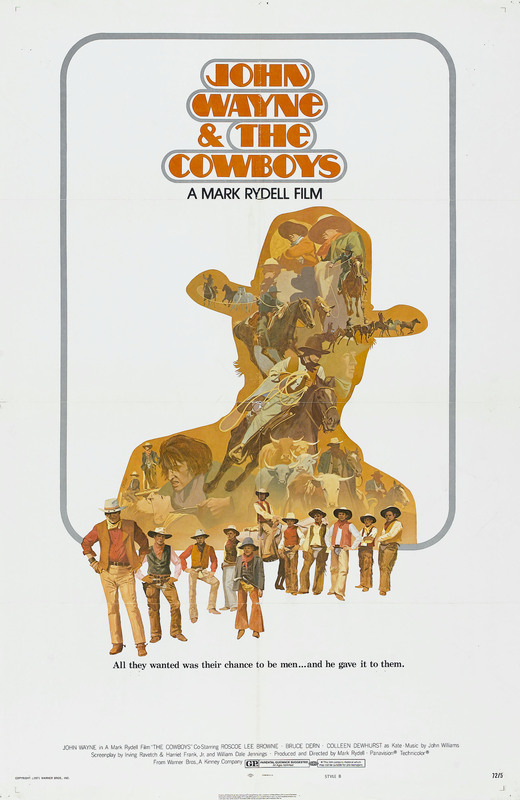 The Cowboys is a canny piece of entertainment in which Wil Andersen (John Wayne) plays stern papa bear to a ragtag group of tweens who, in a pinch, help him transport his cattle a few hundred miles. It’s a pretty brilliant setup for the older Wayne, and the movie is pretty darn effective. It’s not what I would exactly call a good movie, but it does its job tolerably well, and it’s very enjoyable.